One of the great aspects of the hobby (and sadly the one I have neglected for a long time again) is modelling. And one of the aspects of modelling of your army is creating nice bases for your warriors and units. I wanted to create something more than just drybrushed sand and static grass and was looking for the idea to address that. Kings of War offers a unique option here. Since your units have fixed dimensions it is possible to create small dioramas. 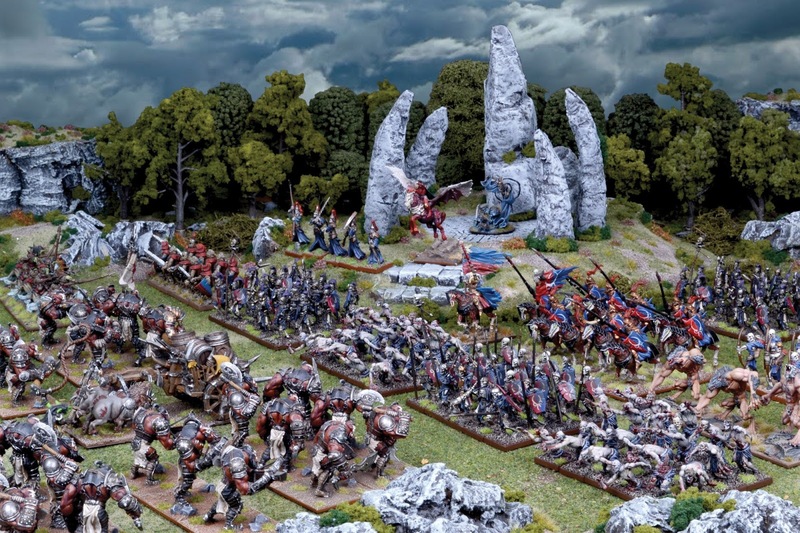 The term used by KoW players in that case is "multi-basing". 1. Multi-basing or "normal" basing- which to choose? 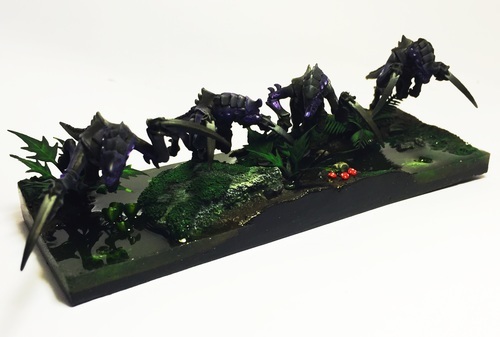 I was very tempted to go with this path for basing my army. It just looks amazing! I was ready to spend extra time to learn how to make similar trays for my units that would match Elven theme. However, the slight disadvantage of such approach, at least for me, is the fact that the models seem to be fixed to the bases and that poses a challenge for the transport. I could not use the miniature cases for such force either. Or might need some custom made foams that would take a bit more space than usual. Because of that, sadly, I decided I will have to go different path and pick the individual bases as I have done so far. The difference I wanted to make was about the design of the bases themselves. 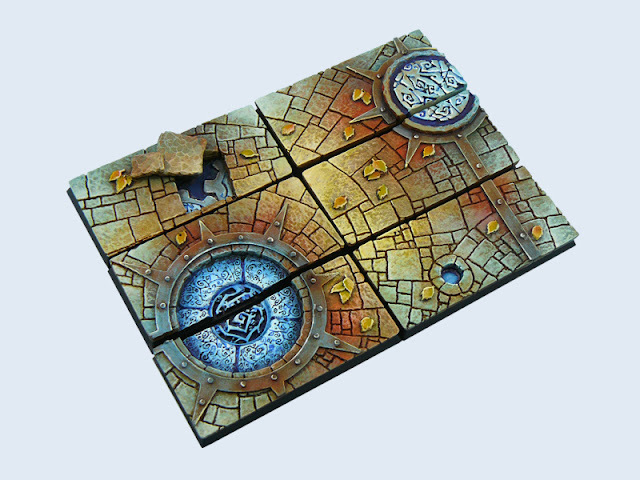 Hence, then looked at the offer of scenic resin bases. 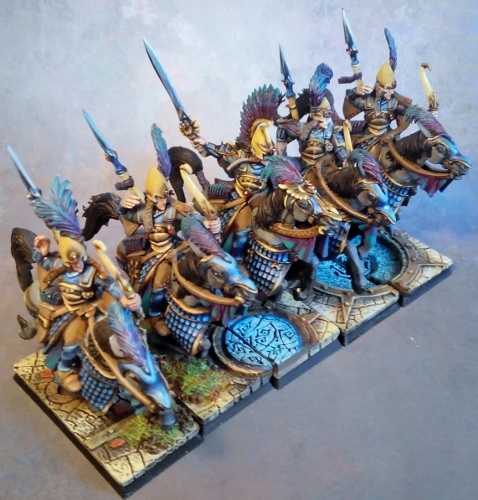 I really liked this design and used these bases for my unit of fast cavalry. In fact, I tested it long time ago for Warhammer but since the effect was great, when I switched to Kings of War I had no doubts that I will want to continue with these bases. Fast cavalry on their new bases. The bases are significantly narrower than 25 mm each. 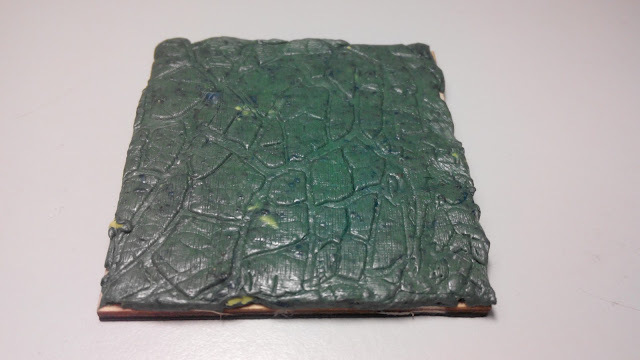 The bases were not of the advertised dimensions and as the difference was significant it was not acceptable for the use in the game of Kings of War. The unit dimensions are very important here. I wrote to the company asking for the reasons of such situation and I learned that is it due to the fact the typical plastic bases are also smaller. The difference is even bigger after cutting process. I asked if they plan to address that issue with the future releases of the same products. Unfortunately, I was informed that the company is withdrawing the square bases from the offer. The good thing was I could still return the bases and I was fully refunded. I was very nicely surprised by the high quality of the customer service and I would like to thank MicroArtStudio for their professional attitude. 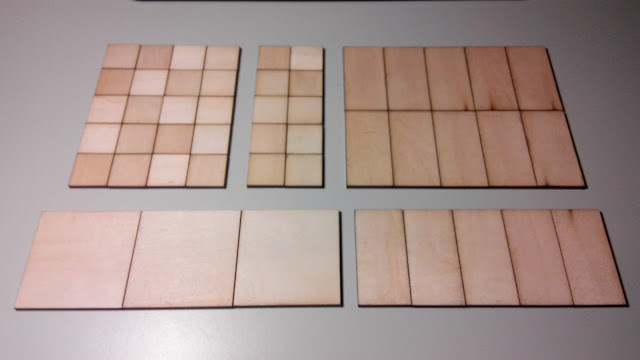 However, I was yet again left with a problem of the bases to solve. 3. Magnetized bases + steel movement trays. A friend of mine suggested I should check the offer of the local store Olympian Games. I checked the offer and decided to email Dean, the owner, directly. He was extremely helpful in providing information about the products, in particular that I asked about custom size bases for my army. 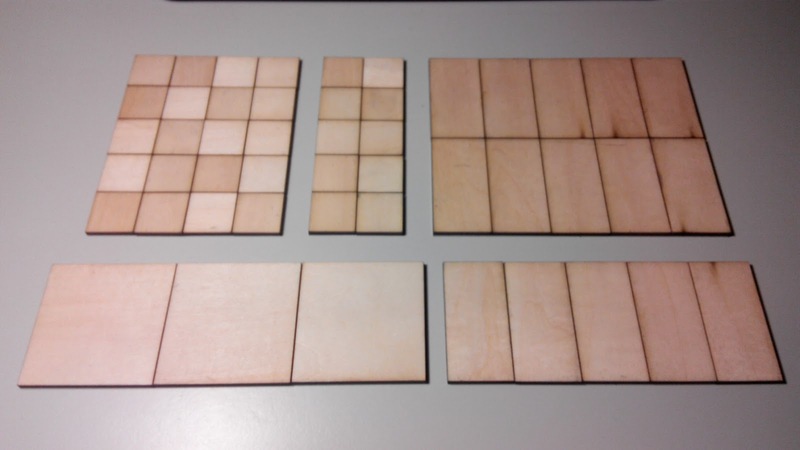 Dean had a fantastic solution in the form of individual MDF bases that are magnetized and are only 3 mm thick total. Individual bases on the left, steel sheet in the middle and bases on the movement tray on the right. As you can see the bases fit perfectly, are of the correct size and at the same time I have the exact unit dimension. I think it will help a lot in the games as I will be able to align my units precisely and measuring arcs of visibility will be much easier. All kind of bases I ordered this time. Please, check the offer of Olympian Games or drop Dean an email as I know he is always happy to expand his offer and he can accommodate custom orders too. I have a feeling this was just the first of the orders I placed in his shop! I have the bases but they now need something to be built on the surface. I hoped to find something similar to MicroArtStudio designs and was soon rewarded by another discovery. The company in Spain, called The Greenstuff World has something they call Textured Rolling Pins. The principle is really great in its simplicity. You have a rod with textured surface and you roll it over the surface to imprint that texture. You can use many different materials for it, green stuff being just one of it. Now I will need to paint it and see how that looks. I think I will go for warm brown colors I used for MicroArtStudio bases. It is not the end of the journey though because I want to add extra features to the new bases and that is something I haven't decided upon yet. Hence "Part 1" in the title of the post! If you have any suggestions as how to further proceed with the bases I would be very happy to hear them! I hope I will find the solution soon and that I will follow with part 2 shortly. In the meantime thanks for reading! Great overview of the types of bases you can use. I need to take a look at magnetising the bases on my fantasy army at the moment, it gets really annoying when you try to move the unit and they end up all over the place. 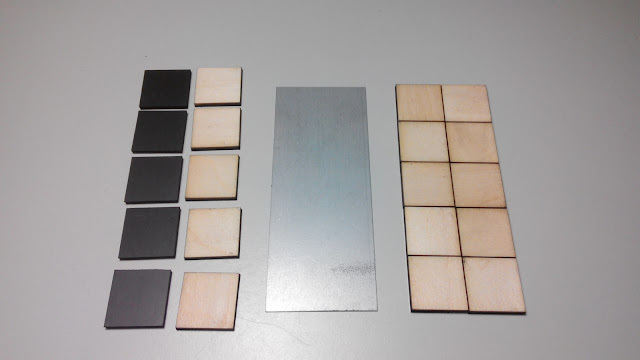 Magnetizing is something I started doing before but the most recent solution is really great. I highly recommend checking Olympian Games offer. I think I'll be giving sculpey a try, per the instructions from GSW about being able to bake MDF bases with sculpey on there. So much cheaper than all that green stuff, and I think it will take the texture pin better. Be aware you need to bake Sculpey to cure it, and the temperatures will demagnetize most neodymium magnets. Haven't tried it with business card magnets, but I suspect it will have the same result. Other than that, Sculpey is fantastic to work with, and I use it all the time. 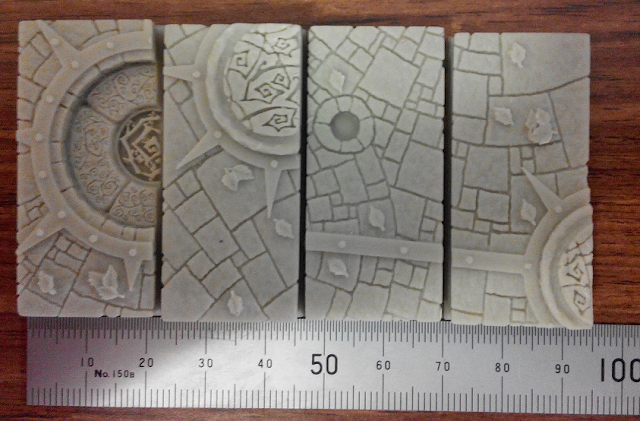 I have some Sculpey, but have so far only used it to create bulk inside terrain elements, and I was dumb and didn't bake it (just sealed away with GS). Curious about the possibilites for my KOW basing. Hi guys! Thanks a lot for your comments! It was already suggested to me that I could even mix Magic Sculp or Milliput with Green Stuff. I need to see what my local stores have and experiment a bit. I am indeed concerned that Green Stuff alone might be expensive for that amount of bases. Thanks for the important piece of advice, Anonymous! Didn't know about this problem. Firstly it's great to see a quality article from you other than a battle report and its been long overdue that you graced the community with these types of write ups. Great info and I certainly look forward to seeing what they turn out like. If you history is anything to go off then they'll undoubtedly be masterpieces to match the rest of your army and your play style. Thanks a lot! Modelling and painting is definitely part of the hobby I regularly neglect but once in a while I can come back with some WiP! I am also curious where that new experiment is going to take me! Very nice to see a hobby post from you Swordmaster! Really digging the rolling pin idea!, and I am interested to see how it progresses! Is it going to just *be* ground, or were you planning on spicing it up a bit? I think the best part of those fast cavalry bases is all of the contrasting components (varying colors; grass/stone/metal...) It might be cool to add something more to the greenstuffed base, be it spare bits (arms, slain enemies or something) or just more greenstuff (sculpted rubble or something) to mix it up a bit. I definitely should write about hobby more often as otherwise the blog is going to be too monotonous. It was surprising to me to notice the article is actually gaining in popularity but maybe it really shouldn't. You are right, the great part of the previous resin bases was the fact they had three dimensions thanks to extra elements. With the Frozen Pin I can create nice textured surface but it is obviously just 2D solution. I want to try the following approach. I will cover all the bases with the foundation with the use of Frozen pin as you have just seen on the sample. I think I will go with blui-sh, magic ice effect, similar to what I tried to achieve with resin bases. On top of it, hover, I will create a second layer. I have just ordered a new pin, just released by GreenStuff, with Greek mosaic. I will use it to create a second layer. But this time the plan is to create broken mosaic. This way I hope to achieve a feeling of the army in the ruins of some old civilization ruins, quite fitting for Elves I think. I may add some sand and static grass too, just to add to the feeling of an old and abandoned city. The "magic ice" background should add the extra effect of the echo of the cataclysm that destroyed the city. We will see if I can create proper bases to support that! I'm really digging the backstory and I think the two-layer approach you are suggesting will end up looking great. Can’t wait to see some pics! With regards to the cav base sizing issue. Not even the plastic GW bases were 25mm wide (they are a tad under 24mm)5 of them fit into a 120mm space and always have. I made up some trays for my cav for WHFB8 and there was a 5 and a bit mm gap between the end of one base and the edge of the tray. I compared newer bases in my plastic Dragon princes box, to old 5th ed cav bases and they were the same size. Hello! Thanks a lot for your comment! Indeed, it is so true about the real dimensions of the bases. People from MicroArt Studio explained to me that they used such bases as a reference but they lost a bit during the cutting process. I guess we took it for granted that the plastic bases were as wide as advertised. Fortunately, with the multi-basing and rolling pins this is no longer an issue!